Your cozy breakfast nook will be complete with the Andover Collection. The transitional pedestal base lends a casual feel to this 5-piece offering. 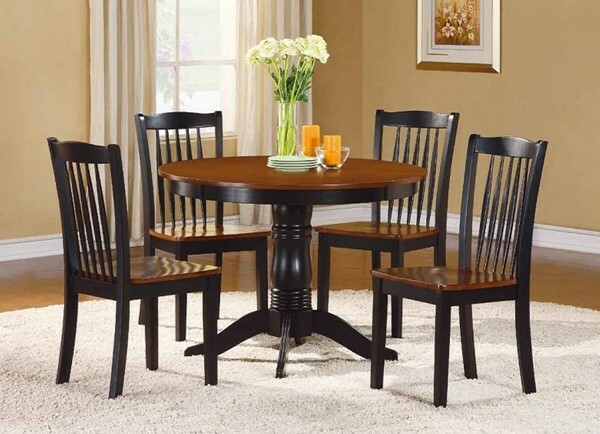 The table and spindle-back chairs are featured in an antique oak and black two-tone finish.